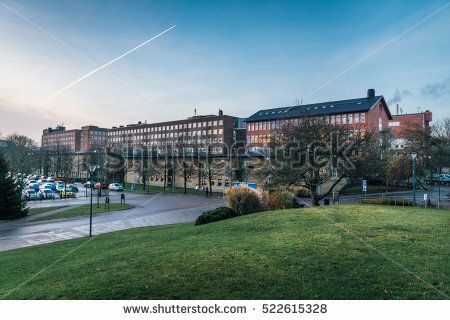 Chalmers University of Technology has an opening professor position in signal processing. This position is available for two years in the first instance. Eligible candidates should submit the applications before January 06, 2019. The Automation research group at the Department of Electrical Engineering, Chalmers University of Technology, is recruiting a qualified candidate as Associate Professor in Automation. We are an internationally renowned research group, focusing on teaching and research in the field of automation. We view automation engineering as an enabler for new methods and applications that drive and take advantage of the ongoing digitalization of our society, with emphasis on social, economic and environmental sustainability. In this role you will join a research group that provides a stimulating and flexible work environment for developing teaching, research, and networking within and beyond Chalmers. As an employer Chalmers actively strives towards providing equal opportunities for women and men with clear promotion opportunities. At the department of Electrical Engineering, research and education are performed in the areas of Systems and Control, Communication and Antenna systems, Signal processing and Biomedical engineering, and Electric Power Engineering. Our knowledge is of use everywhere where there is advanced technology with integrated electronics. We work with challenges for a sustainable future in society today, for example in the growing demands concerning efficient systems for communication and electrification. We offer a dynamic and international work environment with about 200 employees from more than 20 countries, and with extensive national and international research collaborations with academia, industry and society. The department provides about 100 courses, of which most are included in the Master's Programs "Biomedical Engineering", "Electric Power Engineering", "Systems, Control and Mechatronics" and "Communication Engineering". As associate professor in Automation, you play a leading role in research and education in the subject area. Specifically, you will take a leading role in the group’s new initiative on Health Informatics. Your research area will cover topics like industrial discrete control, the digital factory, and virtual preparation and commissioning. A major part of your time will be spent in undergraduate education on both Chalmers’ campuses. However, teaching at all levels, from undergraduate to graduate and postgraduate level, as well as supervision of PhD students, will occur. Administration and management of research, and communication and planning of research projects will be among your work tasks; as well as applying for external funding. You will contribute to forming a bridge between industrial practice and the research community, and take part in meetings and projects in collaboration with our industrial partners, both national and international. You have a doctoral degree in Automation or a closely related discipline sharing the same scientific base and at least 15 higher education credits in teaching and learning in higher education or corresponding expertise. You are an experienced and skilled teacher. For this reason, we place a great deal of emphasis on the quality of your pedagogical portfolio. Industrial experience of automation systems and control, as well as practical experience of relevant topics, are meritorious. The application should be marked with Ref 2080598 and written in English. Describe your previous research fields and main research results Describe your future goals and research focus.